Write a Novel in 30 days?! 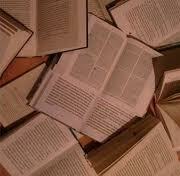 | Speed Reading Plus Blog! Write a Novel in 30 days?! November is National Novel Writing Month (NaNoWriMo). Started in July of 1999 with just 21 participants, NaNoWriMo, which challenges participants to write a complete novel in just one month, was moved to November the following year to take advantage of the wretched weather. This year nearly 300,000 signed up at the NaNoWriMo website. The point of NaNoWriMo is just to get a person writing, to put pen to paper and stop procrastinating. You will undoubtedly have many rewrites ahead of you, but you’ll also have a real accomplishment: the first draft of a novel. So, if you’ve always wanted to write a novel, here’s your chance. You may not write a best seller, though it’s been done. Sara Guen took the NaNoWriMo challenge and churned out Water for Elephants. Writing 50,000 words in one month, about 1,667 words or 5 1/2 typed pages a day, is a daunting task indeed. With less than two weeks left in November, you’ll have to more than double the daily output. Still like to write a novel before the month is over, but aren’t certain how to begin? Click here for some help getting that novel written. If your schedule is too busy with Thanksgiving preparations, football, and malls to write a novel, maybe you could just pledge to read a novel in November. Following is a list of novels I (Judith) am thankful for, whether or not they were written in November. Pride and Prejudice by Jane Austen (1813). This comedy of manners centers around Elizabeth Bennett, the second of five girls whose mother is concerned with marrying all of her daughters to well-to-do men, and the wealthy, aloof, Mr. Darcy. It’s hate at first sight between the two. Can there be a happy ending for Miss Bennett and Mr. Darcy? Pudd’nhead Wilson by Mark Twain (1894). So that her baby will have a better life, a young slave woman switches her light-skinned child with her master’s child. The truth of their switched identities will come to light years later with the aid of an eccentric detective. Keep the Aspidistra Flying by George Orwell (1936). Gordon Comstock in a declaration of war on the bourgeois life rejects a promising job as a copywriter to take a low-paying job, purportedly so that he may write poetry. A Separate Peace by John Knowles (1959). Set at an elite prep school during World War II, this is the classic coming-of-age story of two adolescents and an act of betrayal that forever alters their lives. To Kill a Mockingbird by Harper Lee (1960). If you haven’t read this classic of racism and intolerance in the small-town Depression-era South, isn’t it time to do so now? The Woman in Black by Susan Hill (1983). An English lawyer sent to attend the funeral and settle the estate of a client discovers the isolated house to be haunted. A delightfully frightening read. Because It Is Bitter, and Because It Is My Heart by Joyce Carol Oates (1990). A young white woman and a young black man are forever linked by a murder they commit in self-defense. Blackbird House by Alice Hoffman (2004). A small farm on Cape Cod is the bewitching setting for the interwoven stories of its inhabitants through its 200-year history. Flight by Sherman Alexie (2007). A foster teenager about to commit a violent act, finds himself catapulted on a journey through time into the bodies of sundry other people. His stops include an FBI agent on an Indian reservation in the 70s, a mute Indian boy at Custer’s Last Stand, an old Indian tracker, a broken pilot, and a homeless alcoholic Indian. The Obituary Writer by Ann Hood (2013). Obituary writer Vivien Lowe is looking for her lover who disappeared in the 1906 San Francisco earthquake. Decades later on the day of John Kennedy’s assassination Claire, obsessed with the glamor of Camelot, is trying to decide whether or not she should stay with her husband or leave him for the man whose child she may be carrying. Claire and Vivien’s stories connect in a surprising way that will influence Claire’s life. This entry was posted in classic reading, information, reading, speed reading, speedreading, writing, writing organization and tagged A Separate Peace, Alice Hoffman, and Because It Is My Heart, Ann Hood, Because It Is Bitter, Blackbird House, books, classics, fiction, Flight, George Orwell, Harper Lee, Jane Austen, John Knowles, Joyce Carol Oates, Keep the Aspidistra Flying, Mark Twain, National Novel Writing Month, November, pleasure reading, Pride and Prejudice, Pudd'nhead Wilson, reading, Sherman Alexie, Speed Read, speed reader, speed reading, speedreader, speedreading, Susan Hill, The Obituary Writer, The Woman in Black, To Kill a Mockingbird, writing. Bookmark the permalink. 2 Responses to Write a Novel in 30 days?! Pingback: Celebrate Women Writers | Speed Reading Plus Blog! Pingback: Dog Day Reads | Speed Reading Plus Blog!